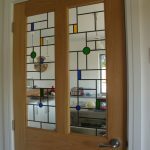 This bespoke American bevelled door glass design was created in 2006 and consists of over 100 individual glass bevel pieces. 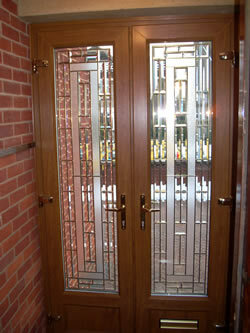 25mm and 50mm bevelled glass rectangles and squares were used to create the bespoke door design. 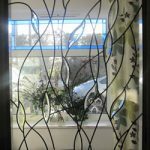 The customer requested the door to be made as a Pilkington K energy saving triple glazed unit and they also chose 6mm gold finished lead. 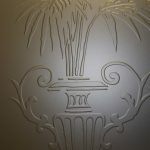 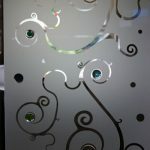 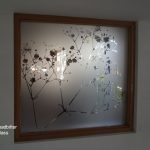 A frosted stipple glass overlay film was placed on all areas of the door glass that were not decorated with the bevelled glass pieces. 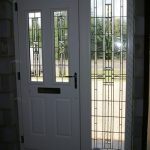 This combination created an elegant doorway with an excellent level of privacy but also allowed the client to see who was on the other side of the door. 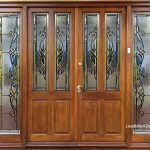 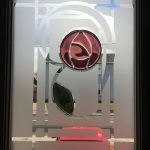 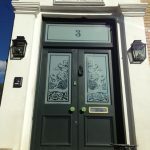 This style of door glass panels are very popular in the United States and it is very common to find doors totally covered with bevelled glass clusters and bevelled glass borders. 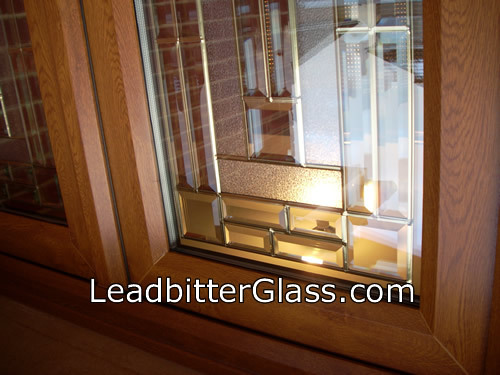 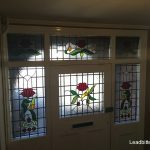 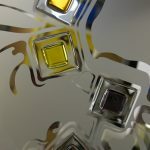 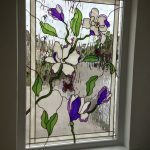 This style of glass seems to be getting more and more popular in the UK over recent years.